Change can be good, though there's often a sense of loss when a significant adjustment happens. 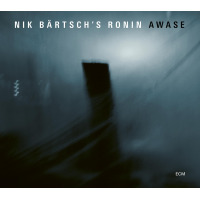 Honing his very specific Ritual Groove/Zen Funk music for more than a decade, Swiss pianist Nik Bärtsch was hit with a particularly big change when Ronin's founding bassist, Bjørn Meyer, left in 2011 to pursue personal projects. The more recent departure of equally longstanding percussionist Andi Pupato on September 1, 2012, leaves Roninwith new bassist, Thomy Jordi, in towto forge ahead as a quartet, making Live a particularly bittersweet album; the final recording of the group that has gained critical and popular acclaim since Bärtsch connected with ECM in 2005 for Stoa (2006), his fourth Ronin release and second to include the stable lineup of Meyer, Pupato, reed player Sha and drummer Kaspar Rast. 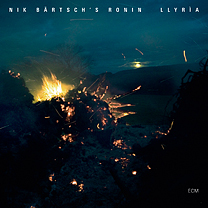 Holon (2008) and Llyrìa (2010), along with considerable touring around the globe have raised the profile of everyone involved, but in particular Bärtsch, as Ronin's sole composer and conceptualist since inception. 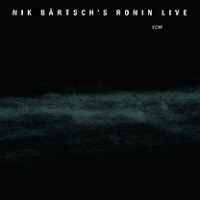 Live is actually Ronin's second concert release following Live (Ronin Rhythm, 2002), which documented the group without Sha, whose bass clarinet and occasional alto saxophone ultimately gave the group a much-needed fifth voice. Ronin's exhilarating confluence of Steve Reichian minimalism, funkified and often irregularly metered backbeats, focused, structure-defined improvisation, syncopation and a haiku-like ability to "speak, little, say much" was already in place in 2002, but a decade later, it has evolved into a live act that, despite it compositional rigor, gives Bärtsch's "Moduls" the kind of collective energy expected from a group of players both this tight and this loose. 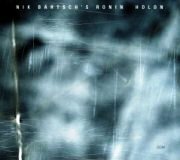 The album opens with Holon's "Modul 41_17"a combination of (then) new music and "Modul 17" from the 2002 Live (also reiterated on its own here). Meyer's lengthy opening solo, over Bärtsch's repetitive and irregularly metered lines, demonstrates exactly why he was so fundamental to Roninand why he'll be missed. That said, Jordi makes his Ronin recording debut on Llyrìa's "Modul 55," which closes this two-disc, 105-minute collection of nine tracks dating as far back as November, 2009 and as recent as July, 2011. Spare and down-tempo as it is, it's difficult to really assess what Jordi will bring to the group. 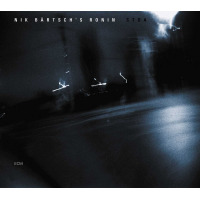 Perhaps if a recording of "Modul 41_17," with the new bassist, had been included; but here the star is clearly Sha whose phrasing and embouchure render his alto as much like a Japanese shakuhachi as Arve Henriksen's trumpet on albums like the Norwegian's Cartography (ECM, 2008). With material culled from past recordingsalso including Rea (Ronin Rhythm, 2004)only the initially dark "Modul 47" is new, with Meyer, Rast and Pupato shifting the groove around Bärtsch's persistent piano pulse. Between this and Jordi's debut, it's clear that, much like its music has been, Ronin's evolution can be counted on to be gradual, painstaking...inevitable. And if the occasional holler from the band or the crowd can be heard, it only confirms what those who've seen the group know: Ronin is an exciting and hypnotic live act, with Live demonstrating the full breadth of its intrinsic possibilities. Track Listing: Modul 41_17; Modul 35; Modul 42; Modul 17; Modul 22; Modul 45; Modul 48; Modul 47; Modul 55. 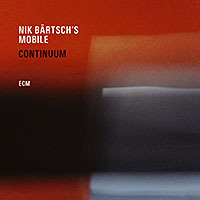 Personnel: Nik Bärtsch: piano; Sha: bass and contrabass clarinets, alto saxophone; Björn Meyer: bass (1-8); Thomy Jordy: bass (9); Kaspar Rast: drums; Andi Pupato: percussion.